An undeniably sophisticated ladies' leather strap watch from the Equestrian collection by Longines. Crafted with a stainless steel case featuring a cream dial with roman numerals. A truly luxurious timepiece for the elegant modern woman. 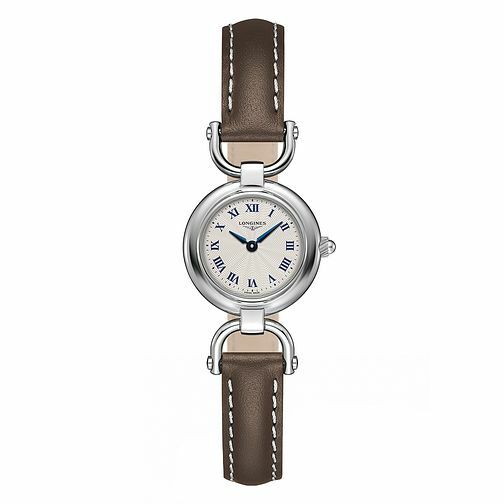 Longines Equestrian Ladies' Brown Leather Strap Watch is rated 5.0 out of 5 by 1. Rated 5 out of 5 by Anonymous from Good Price for a Quality Product Beautiful and unusually sculpted body with a simple but elegant face. It will grace the wrist of most wearers.